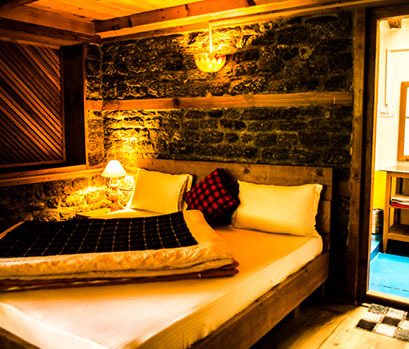 Nestled in the foothills of the Tirthan Valley, Bluehouse is an all luxurious cottage and your home by the river. 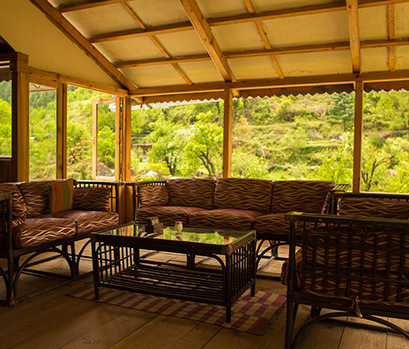 The cottage is a home-stay that provides the comfort of your home with natural beauty surrounding it. 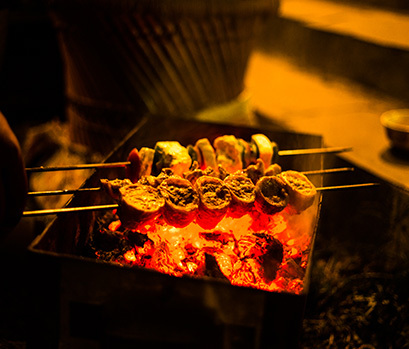 The guests are served with home-cooked food with a choice of different cuisines. 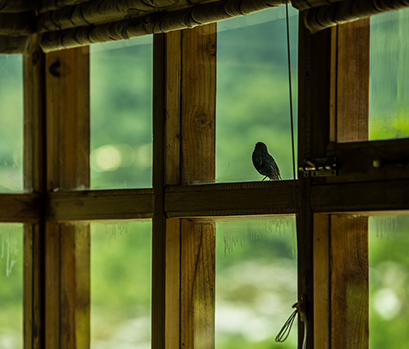 An ideal place for bird enthusiasts and for people who are just looking for few days, weeks or even months to live in solitude and peace. 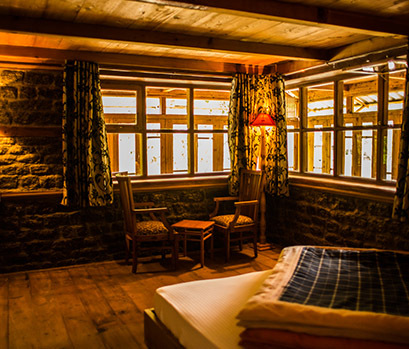 The cottage has 4 rooms with all amenities and offers various outdoor activities like angling, bird-watching, nature walk, river crossing, village walk, etc to name a few. Bluehouse has something to offer to everyone. 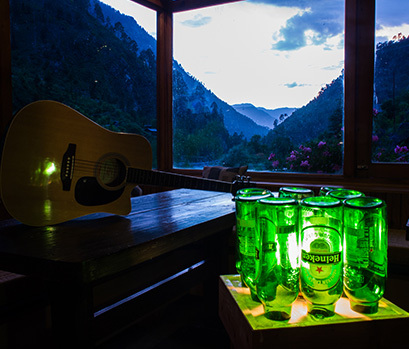 One can spend a lazy day just sitting by the river or take a walk to the villages nearby. 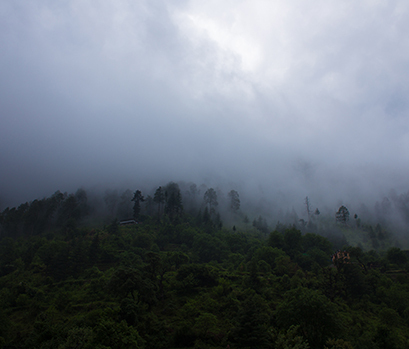 Hike through the cool Deodar forest on a misty morning looking for rare birds or drive up to the historic Chehni Kothi. 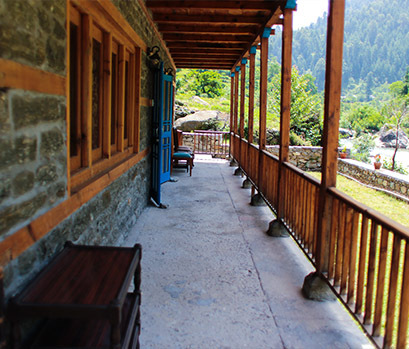 Drive to Jalori Pass or take a long and adventurous walk should you choose to traverse by foot. 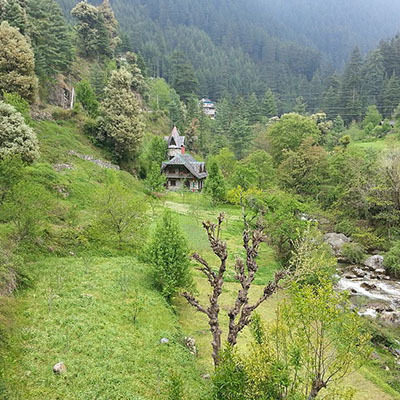 Tirthan Valley is around 1 km before Banjar enroute to Aut, the valley is marked by the Tirthan River. 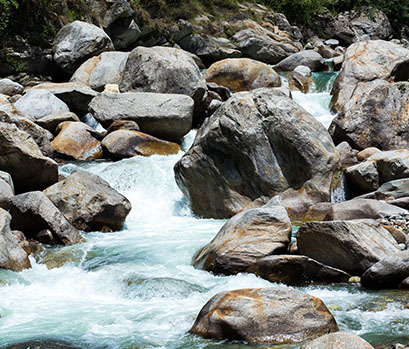 The Tirthan valley is an adventurer's paradise and is known for excellent trout fishing. 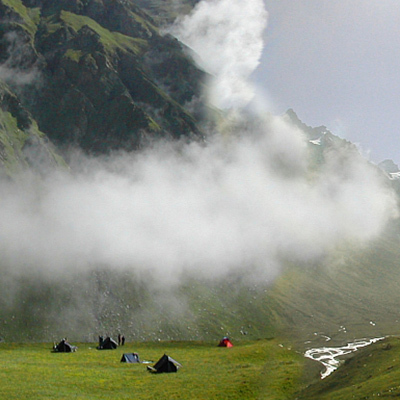 It is also famous for being nearest to the Great Himalayan National Park (8km trek from Gushaini). 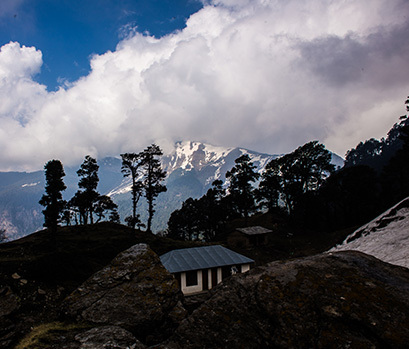 The Great Himalayan National Park - There are many treks that are possible in the area, with the main one being Bathad to Bashleo Pass and Sarahan. The Park has brown bear, mountain lions, ghorar, jungle goat and musk deer amongst 200 species of birds. Sainj Valley starts about 3kms from Aut, on the way to Larji. 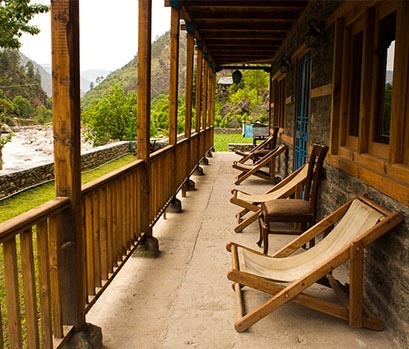 The village Sainj, situated on the banks of river Sainj, 14km from Larji. Beyond Sainj there is a village of Shanghar. 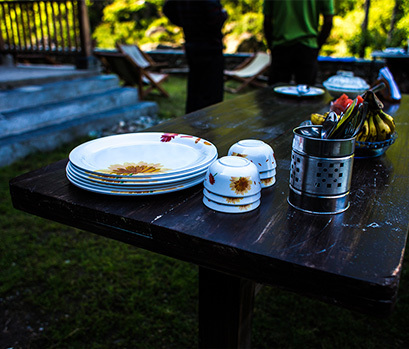 This place has splendid areas for camping and experiencing the glory of nature. 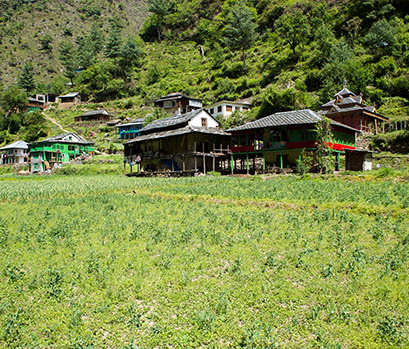 The last village in the Sainj Valley is Shakti - Maraur. Here you will find a awe-inspiring lake with red colored water. You can see the glaciers from this place as they are relatively close to the lake. 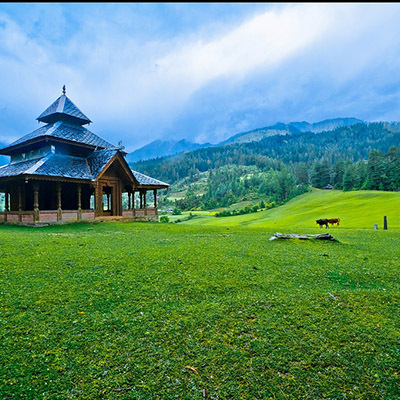 Gada Gushaini The astounding beauty of Gada Gushaini will remind you of Sonmarg in Kashmir. There are many temples and forts including Bahu, Baloo, Tungasi, Dibber and Dalnu. The road to Gada Gushaini village breaks off from State Highway 11 just after Jaipur- Jibhi. There are many names to the person who has interests in Birds – Ornithologist, Bird watcher, Birder, Twitcher et al. 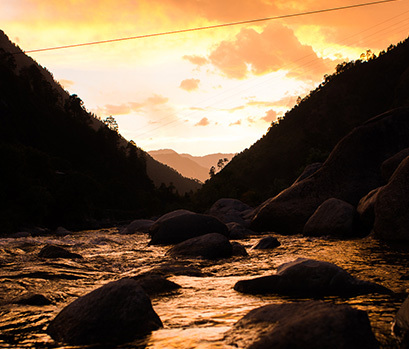 All you have to do is simply come to the Tirthan valley, spend your days walking or sitting by the river and you can't help not spot the beauties that come in all colours possible. Listen to their sounds, observe their flight paths and gaze at these outdoor "feathered companions". A fine set of binoculars would come in handy. Your childhood days will come back, that's a promise. Crystal clear water with possibility of spotting a flying trout fish. 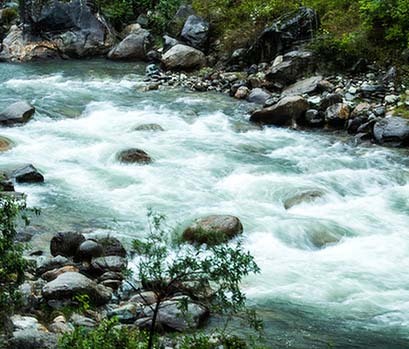 Take a satisfying dip in the chilly water of Tirthan river and you would not want to leave the place till you have quenched your desire to do it again. 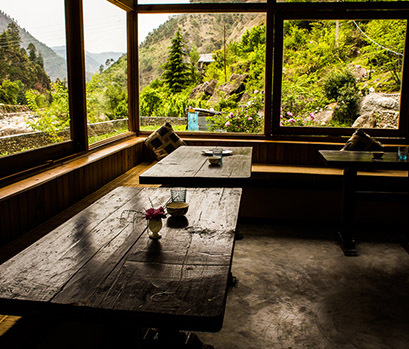 Our guests, who have been regulars, want to spend the whole day sitting by the rock reading a book or just sipping to their favourite "drink"...tea that is ;-). An experience to remember. This is one of the activities that you should definitely try to test your guts. One can join, make a group and take a route from Aut to Jalori Pass. 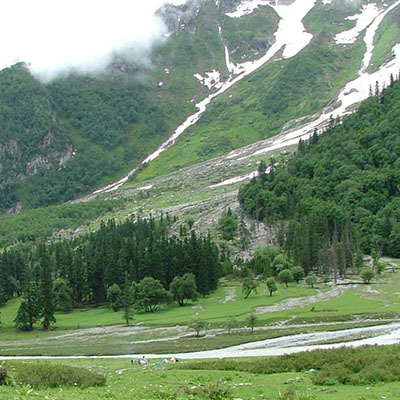 Beautiful valleys present extensive forests and picturesque meadows dotted with a variety of flora and fauna. It is also famous for its beauty of colourful birds, wilderness of wildlife, botanical species of plant life and fragrant foliage leaving the passersby to an irresistible view. In a nutshell, it is getting outside, observing and enjoying nature. 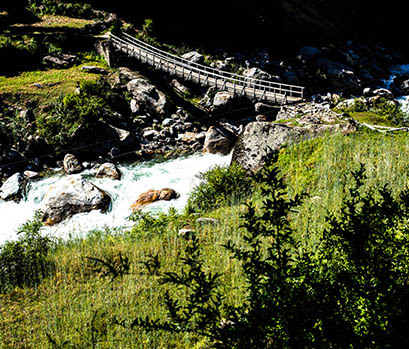 There are couple of trails that one can follow and observe flora and fauna that abound in this alluring valley. Stopping mid-way at waterfalls can revive your energy levels and you are up for another long walk to the other side of the hill. They say "A bad day of fishing is better than a good day of work." 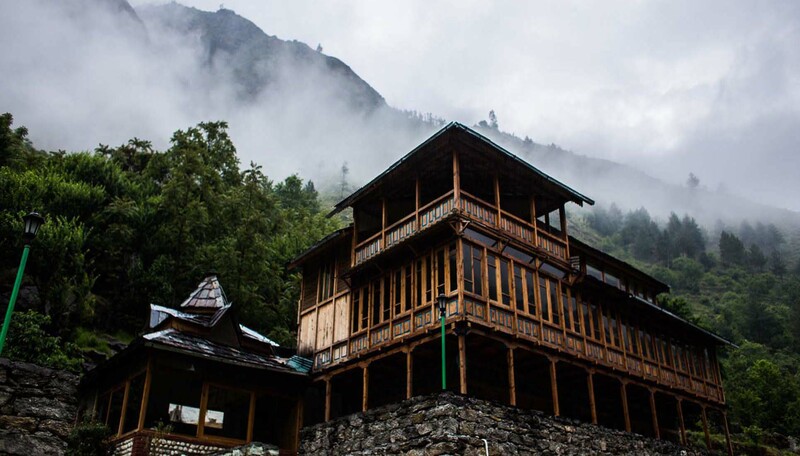 Tirthan valley is known for its famous Trout fish and anglers throng to the valley year round to satisfy their hunger to just spend their day for that magnificent catch. It's for the people who are fascinated by the unexplored. Hiking enthusiasts can explore the rugged beauty of the lofty mountains and the trails that cut through the old pine trees leading you to shimmering waterfalls. There are plenty of trails that one can follow. So, while you are residing with us, just ask and we would be happy to make your day. » For cancellation 30-16 days before the check in date: 50% deduction. 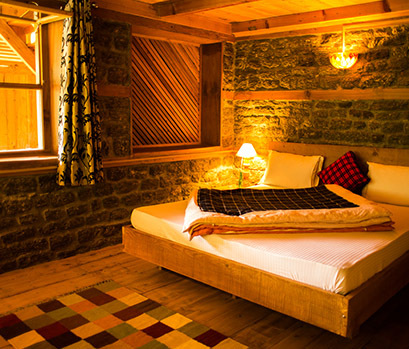 » For cancellation 15-06 days before the check in date: 75% deduction. » For cancellation within 5 days of check in date: 90% deduction. » No show on the date of check will invite 100% cancellation charges. Copyright © 2016 BlueHouse / All rights reserved.